Lovin That! 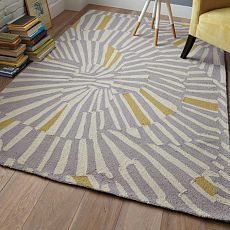 : Lovin' this Rug! Totally agree! That rug adds excitement and fun to a room! Such gorgeous movement and those pops of yellow are perfectly picked up in those tabletops vessels! Brilliant pick...so fun and fresh for summer!